In my brief Palm Sunday homily this year I’d like to take you back almost 40 days to Ash Wednesday, and remind you of the “word” I shared with you that day at Mass. As many of you know, every year since 2010 I’ve asked the Lord to give me a “theme word” for Lent to share with you on Ash Wednesday—a word that could help to focus and guide you—and me—(all of us) in our Lenten disciplines. Now since everybody here has a perfect memory and always remembers everything that I say from the pulpit, I’m sure I could point to any one of you right now and you would be able to tell me immediately what this year’s word was—but I won’t do that. So you can breathe a sigh of relief! The word, of course, was “priorities”—which was a great theme word for Lent, I think, because the purpose of this holy season (at least in part) is to motivate us to re-prioritize our lives through prayer and fasting and works of charity. So today we should thank God from the very bottom of our hearts that he made all of us HIS PRIORITY on those 7 days back in the first century. In this regard, the word “priority” did not appear in today’s second reading from Philippians 2. But it could have—because it was implicitly there in the text. St. Paul’s message in that reading was that the Son of God chose to make each and every one of us such a priority for himself that he was willing to become obedient even unto death—death on a cross. To sum it all up: We were redeemed by the blood of Christ, who made us his priority during the first Holy Week. Which leads to the obvious question: Will we make HIM our priority during this Holy Week? Or will we allow other things—other unnecessary things—to get in the way? Each of us, believe it or not, will answer those questions by what we choose to do or not do in our free and leisure time during the next 7 days. On Monday, Tuesday and Wednesday we will have morning Mass, as usual, at 7am. We will have Eucharistic Adoration all day on Tuesday. We will have Stations of the Cross at 6:05 on Tuesday after Benediction. We will have Morning Prayer Thursday, Friday and Saturday at the regular Mass times. And, most important, we will have the Liturgies of the Triduum on Thursday, Friday and Saturday evenings: the Mass of the Lord’s Supper will be at 7pm on Thursday, followed by Adoration of the Blessed Sacrament in the church hall until 11pm. On Friday we will have the celebration of the Lord’s Passion at 7pm, and Stations of the Cross twice: once outside at noon (weather permitting), and then at 3pm here in church. And finally, we will have the first Mass of Easter—the Easter Vigil Liturgy—at 7:30pm on Holy Saturday night. Masses on Easter Sunday will be at the normal Sunday times: 7, 8:30 and 10:30am. It’s my prayer at this Mass that our participation in at least some of these ceremonies and services will be a sign—a special and a visible sign—that we desire to make Jesus Christ and our relationship with him our number 1 priority—and not just during Holy Week, but every single day of the year. Stuart Scott was a sportscaster and anchor on the ESPN television network. He was definitely a familiar face to anybody who watched SportsCenter on a regular basis during the last decade. In 2007, he had what was supposed to be routine surgery to remove his appendix. However later on, when the doctors tested the tissue they had removed during the operation, they discovered that it was cancerous. For the next seven years Scott battled the disease courageously, and for the most part he continued to work at ESPN—however, on January 4th of this year he passed away from cancer at the young age of 49, leaving behind a wife and two children. Now the reason I mention this today is because I saw Larry Plath interviewed last week on television, and one of the things he said about Stuart Scott during that interview really struck me. You know, it always strengthens my faith when I hear people in a secular environment echoing the truths of the Bible and our Catholic religion (especially when they do it without realizing that they’re doing it!). Well Larry Plath said something very similar about Stuart Scott with respect to his battle with cancer. In fact Scott also said it himself. He said that his suffering had taught him some very important lessons that he might not otherwise have learned in his life. 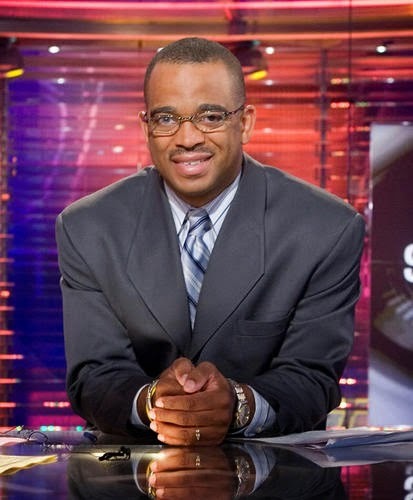 "There was an element of wisdom that came [to Stuart Scott]. He learned patience as a result of cancer. I mean, that’s the paradox—right? [Stuart] says in the book that the paradox is that cancer just might make you the man you always wanted to be." And even when people do respond positively to their sufferings with a greater obedience to God, that obedience sometimes comes after a period of disobedience. For example, how often have you seen people come back to the practice of their Catholic faith after somebody in their family dies? It happens all the time. These men and women are living lives of disobedience to God, but suddenly their suffering “wakes them up” (so to speak) spiritually. And that’s great! Praise God that they’ve seen the light. They’ve learned obedience to the Third Commandment (“Keep holy the sabbath day”) through their suffering—and that’s wonderful! We should rejoice whenever that kind of learning takes place. Better late than never! What have you learned through your suffering? That’s a good question to reflect on during this last full week of Lent. · I’ve learned to be more empathetic (and hopefully more compassionate) in dealing with the sick and the elderly. · I’ve learned to rely on God more. · I’ve learned to put more trust in him. · I’ve learned to take the power of prayer more seriously (since I believe that I’m doing as well as I’m doing in large part because so many people—even some people I don’t know—are praying for me every day!). · I’ve learned how important it is to focus on what I have, not what I don’t have; and I’ve learned to be more grateful for the health and abilities that I do still possess. · I’ve learned once again not to put all my hopes in this earthly life, because this mortal life is very fragile (a lot more fragile than you think it is when you’re young and healthy). · And I’ve learned that God is in control, and that I am not (even in those areas of life where I always thought I was in control). Those are just some of the positive lessons I’ve learned from the otherwise negative experience of having this disease. And that has made me more obedient to the Lord. At least sometimes it has. Unfortunately I have had those moments when I’ve allowed things like anger and frustration and impatience to get in the way of my obedience. Usually that happens when I’m trying to do something “really difficult” like buttoning a shirt or turning the page of a book or cutting a piece of meat at dinner—all those fine motor activities that you never give a second thought to when you’re healthy, but which become really big issues when you have a neuro-muscular disorder like Parkinson’s. My point in sharing this with you today is that learning obedience through suffering is an ongoing process—for all of us. As Stuart Scott made clear, the sufferings of this life do have the potential of changing us for the better. They can make us, as he said, into the people we’ve always wanted to be. The Wrath of God: What Exactly is It? And he storms off to his room where he moans, and groans, and lives in utter agony for the rest of the day while all his friends happily play their football game. Now before I go any further let me issue this very important clarification: the fact that the boy in this story happens to have my name is merely a coincidence. I was always a perfect brother. Just don’t tell my sister I said that! But in all seriousness, my brothers and sisters, the point I’m trying to make in telling this story is that if you understand the dynamics of it—in other words, if you understand what’s going on here between little Raymond Nicholas and his mother—you will understand what the Bible means when it speaks of the “wrath” of God. These are just a few of the many Scripture verses that speak to us of God’s incredible, eternal love. But there are also other passages of the Bible—like today’s first reading—that tell us of God’s “anger” and his “wrath”. Early and often did the Lord, the God of their fathers, send his messengers to them, for he had compassion on his people and his dwelling place.But they mocked the messengers of God, despised his warnings, and scoffed at his prophets, until the ANGER of the Lord against his people was so inflamed that there was no remedy.Their enemies burnt the house of God,tore down the walls of Jerusalem, set all its palaces afire, and destroyed all its precious objects.Those who escaped the sword were carried captive to Babylon, where they became servants of the king of the Chaldeans and his sonsuntil the kingdom of the Persians came to power. How do we makes sense of this apparent contradiction? Is our God a God of love or is he a God of wrath—or is he somehow a God of both? But how can he be a God of both, since love and wrath appear to be mutually exclusive realities, diametrically opposed to one another? Well, here’s where I think little 7-year-old Raymond Nicholas and his mother can help us. In this regard, I would say that the words of St. John serve as a good starting point. St. John tells us explicitly that “God is love”—all love, complete love, perfect love. Okay, that’s great Fr. Ray. But what about God’s wrath? If God is pure, total, perfect, complete, 100% love, how does “wrath” fit into the picture? Well, very simply, the wrath of God is just the way that certain people experience his LOVE. Yes, you heard me correctly: the “wrath of God” is the way that some people experience his love. Specifically, people who defiantly and obstinately cling to their sins. Think of little Raymond Nicholas. He broke his sister’s toy and then he refused to repent and say he was sorry. If had said he was sorry he would have been happy for the rest of the day playing football with his buddies at the local field. And he ended up spending the rest of his day sulking in his room—alone. So I guess that means his mother hated him. The Israelites in today’s first reading could very easily have related to the plight of poor little Raymond. As we heard a few moments ago, they were defeated and carried off to captivity in Babylon because they stubbornly refused to repent of their idolatry—even though God, in his love, had sent them many prophets over the years to warn them about the consequences of their disobedience. Now the good news is that little Raymond Nicholas eventually got out of his room, and God’s people eventually came home from Babylon. That’s because in this life, we can always change for the better, such that we move from experiencing God’s love as wrath back to experiencing God’s love as love. But there will be a moment—the moment when we take our final breath on this earth—when that kind of change will become impossible. Which means that if we are still stubbornly clinging to our sins at the moment of our death, we will experience God’s love as wrath for all eternity. In fact, that’s really an accurate description of what hell is. Hell is where people experience God’s love as wrath—forever. That’s why repentance is so important—and why the sacrament of Confession is such a blessing. Which leads to the obvious question: Have you made a good, thorough confession yet during this season of Lent? And if not, what are you waiting for? 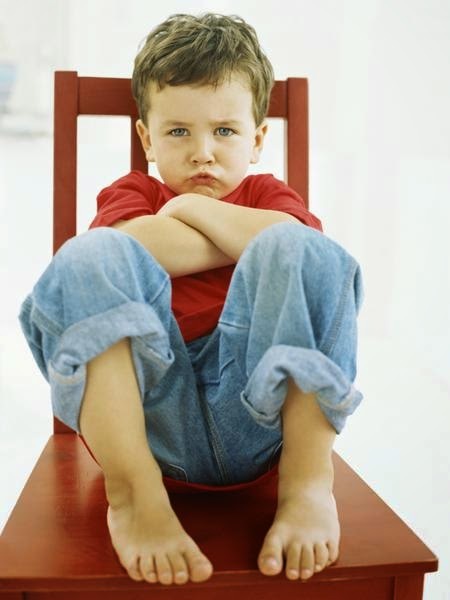 “I’ve fallen and I CAN’T get up”; “I’ve fallen but I WON’T get up.” Which of those best describes your attitude right now? I’m sure you’ve seen the commercial. An elderly lady has fallen down the steps in her home, is seriously injured and unable to move to the telephone when she cries out, “Help! I’ve fallen and I can’t get up.” The commercial promotes Life Alert Emergency Response, a medical alert pendant that’s used to notify dispatchers about someone’s health emergency. Although I haven’t yet had any personal experience with Life Alert, I’m sure it’s a fine product and a useful service that has assisted many individuals, perhaps even saved some lives. 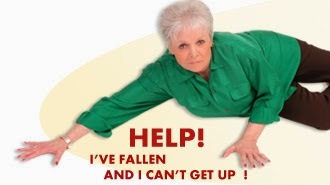 But it occurs to me that the phrase “I’ve fallen and I can’t get up,” serves well as a description of the human condition we need to confront during the Season of Lent. It’s true—as a human family, and as individuals, we’ve indeed fallen, very far and in many ways, and a thoughtful, faith-filled person will quickly recognize that we need God’s help if we are to arise and walk again. 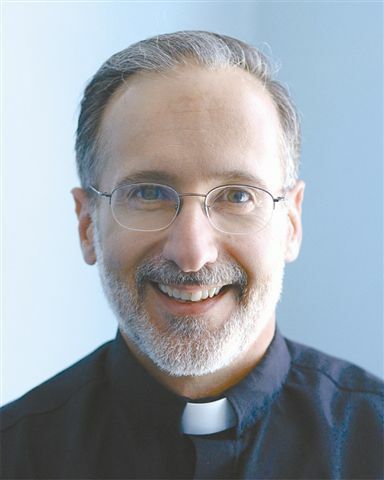 The majority of the rest of the Bishop’s column explores how we can access that help from the Lord, especially through our Lenten disciplines of prayer and self-denial and charity. But there’s a presumption behind our Bishop’s words in this article. He presumes that we actually WANT to “get up”! He presumes that his readers are people who honestly examine their lives every day in light of the Gospel of Jesus Christ, and then strive for perfection through repentance. Put in the terms of today’s Gospel reading, he presumes that his readers are constantly working to keep their “temples” as clean as possible. These Commandments are a gift—a gift from God, giving us the guidelines we need to follow in order to live lives of relative peace and happiness. I hope you realize, my brothers and sisters, if everyone on planet earth right now lived his or her life according to these ten directives, planet earth would be a very different—and a much better—place. But a lot of people today are not living them, and many of these individuals aren’t interested in even trying to live them—and that’s a huge problem, as Bishop Tobin notes in his recent column. And those who disobey often have excuses—interesting and sometimes very clever excuses—as to why they disobey, and as to why their disobedience is actually a great thing! That excuse is used, of course, by people who are mentally ill and hear strange voices in their heads. But, sad to say, it’s also used by a lot of other people who are completely sane. This, by the way, was the issue that then-Pope Benedict was trying to address in his speech at the University of Regensburg back in 2006. His basic point was that God is the author of human reason, so he’s not going to command us to do things that are irrational and unreasonable. It was a direct challenge to the jihadist mentality that’s present today in radical forms of Islam (not in all of Islam, but in certain segments of it). For the most part, the secular press criticized Benedict for being naïve and for making so-called “inflammatory statements” against Muslims. But Pope Benedict was absolutely correct—as the world is now coming to recognize more and more. If only the man in the White House would recognize it! Let me quickly mention some others which are even more prevalent—especially in our modern American society. No, everybody isn’t doing it—whatever “it” happens to be. Well, it may be your body, but remember: what you do with it will have consequences—both here AND in eternity! Excuse #4: “The ‘experts’ tell me it’s okay.” That one is used to justify everything from self-abuse to cheating on one’s taxes. Excuse #5: “It’s legal, so it’s okay.” Of course, slavery was once legal in this country, as was segregation—and neither of those two things was “okay”. Excuse #6: “I’m not hurting anybody.” People who use this one forget that every sin—even a sin that somebody commits “in private”—changes the sinner, and affects that sinner in a negative way in his or her relationships with others. But that’s only half the story! The corollary of that teaching is that we are personally responsible for forming our consciences properly! And, according to paragraph 1783 of the Catechism, what is supposed to guide us in forming our consciences properly is “the Word of God”—which includes (yes, you guessed it!) the Ten Commandments. When all is said and done, my brothers and sisters, everyone—without exception—goes through life with one of those two attitudes dominating. Notice that the first part of each statement is the same: “I’ve fallen.” That’s because we have all “fallen”—that is to say, we’re all sinners in need of God’s forgiveness. The difference between the two groups is that those in the first one have the opportunity to receive that forgiveness, while those in the second one have willingly closed themselves off from that opportunity. Hopefully those of us who are in that first group will make it a point to seek the Lord’s pardon sometime during this season of Lent by making a good confession. Like the elderly who have Life Alert pendants, we cannot raise ourselves up after we fall into sin, but God can “raise us up”—and God does raise us up, spiritually, in that great sacrament!